Unveiled on the 10th of October (Party Founding Day; a DPRK national holiday commemorating the anniversary of the founding of the Korean Worker’s Party), 1995, the 50th year anniversary of the founding of the Korean Worker’s Party. 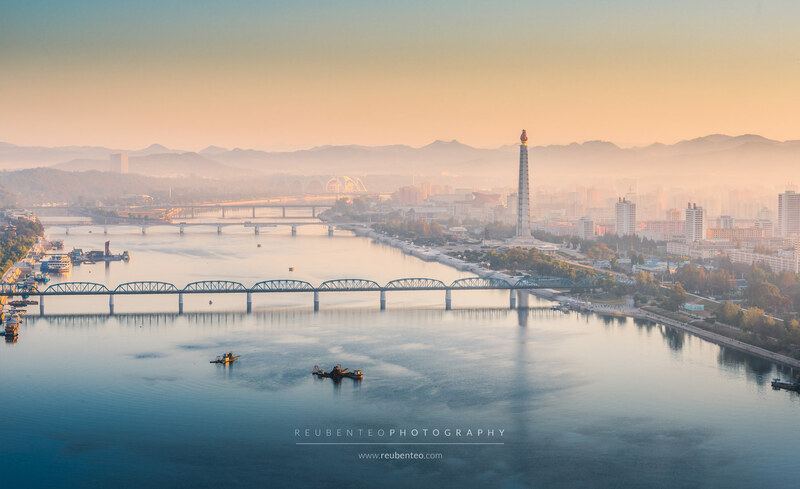 Designed and built by the Mansudae Art Studio. 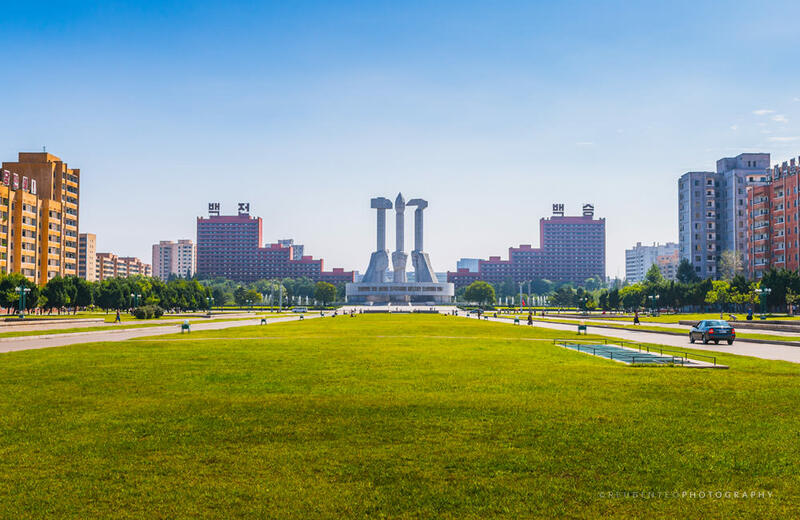 The monument is set along an axis which points to Mansu Hill with the bronze statues of Kim Il Sung and Kim Jong Il at the Mansu Hill Grand Monument and the Revolutionary Museum behind them. 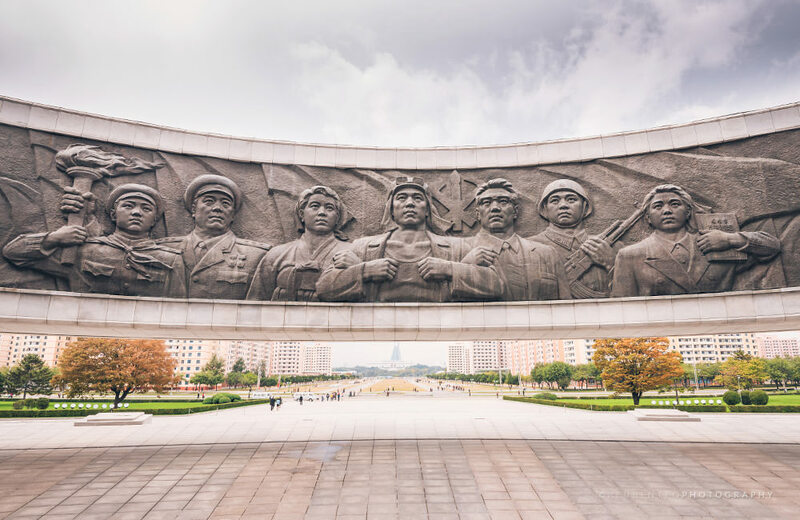 The monument depicts the emblem of the Korean Worker’s Party. It is the only emblem of a socialist party to add a brush to the traditional hammer and sickle. The brush is the calligraphy brush of the Confucian literati, representing the intellectual class. This can be viewed as a manifestation of Confucian culture, which esteems the written word and learning. On each side are symmetrical apartment blocks, each with two characters on the top. Together they form a four character slogan reading “Invincible”, or literally “One hundred battles, one hundred victories” (백전백승；百戰百勝). 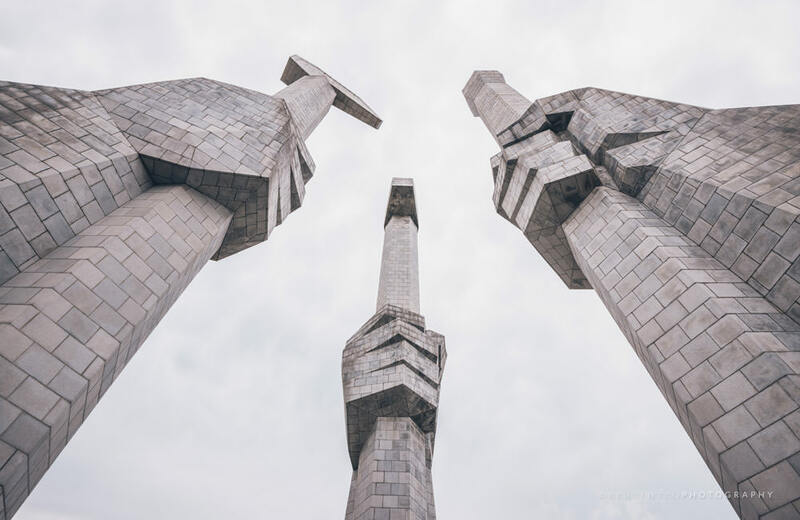 With the monument in the middle, it describes the Korean Worker’s Party’s leadership as invincible.